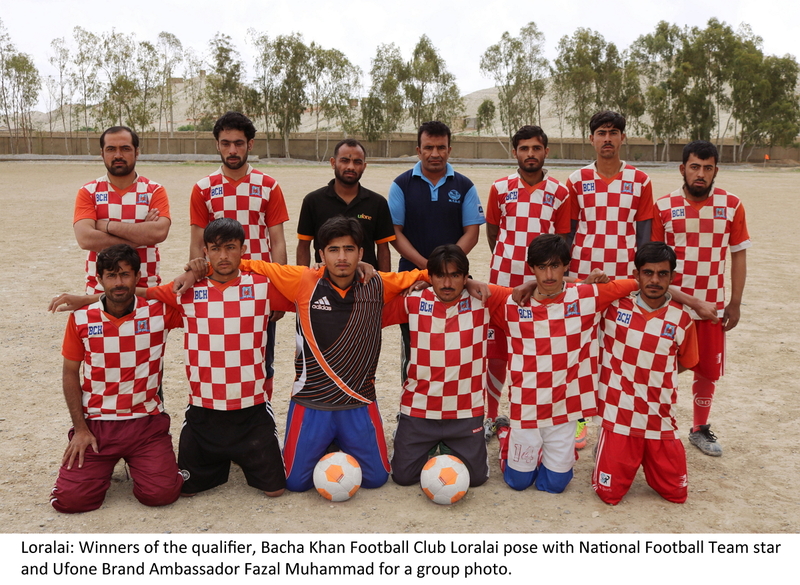 Loralai: March 22, 2018- After a close contest Degree College Loralai suffered a 1 - 0 loss at the hands of Bacha Khan Football Club Loralai. Muhammad Younas scored the solitary goal to book a place for his team in the quarterfinals to be played in Quetta on the 27th March. Earlier, in an exciting match of the knock out round ended in a penalty shootout between Degree College Loralai and Government High School Loralai. Both teams attacked the other team’s goal post but could not score a goal. In the penalty shootout, Degree College won when the Government High School missed the eighth penalty. The Championship’s knockouts will now take place in Chaman, Pishin and Quetta. The successful team will compete against each other in the quarterfinals, the winners of which will play in the semifinals on 28 March and the top two teams facing each other in the Final on 29 March. The championship’s Final round will be played at Aqua Football Ground in Quetta. This year’s Ufone Balochistan Football Cup is the second edition of the championship after a successful launch last year. 30 teams and 450 young footballers are taking part in the championship from six cities including, Khuzdar, Noshki, Loralai, Chaman, Pishin and Quetta.